We have revisited the inventory management solution. 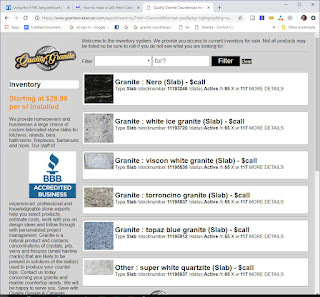 Managing inventory seams to be a bit of a struggle for many shops and making this content available online also has its issues. Current partners : Contact us for a tutorial. With the spark Lead management system we take the sting out of managing the public facing inventory management. We then can customize the presentation layer for various needs. if you would like to manage remnant inventory we can build the display for that. 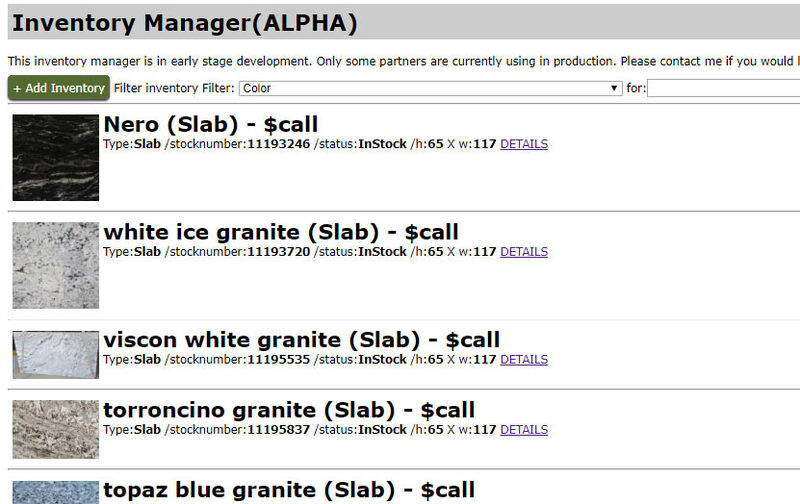 if you would like to list in stock slabs and manage the quantities it can do that. 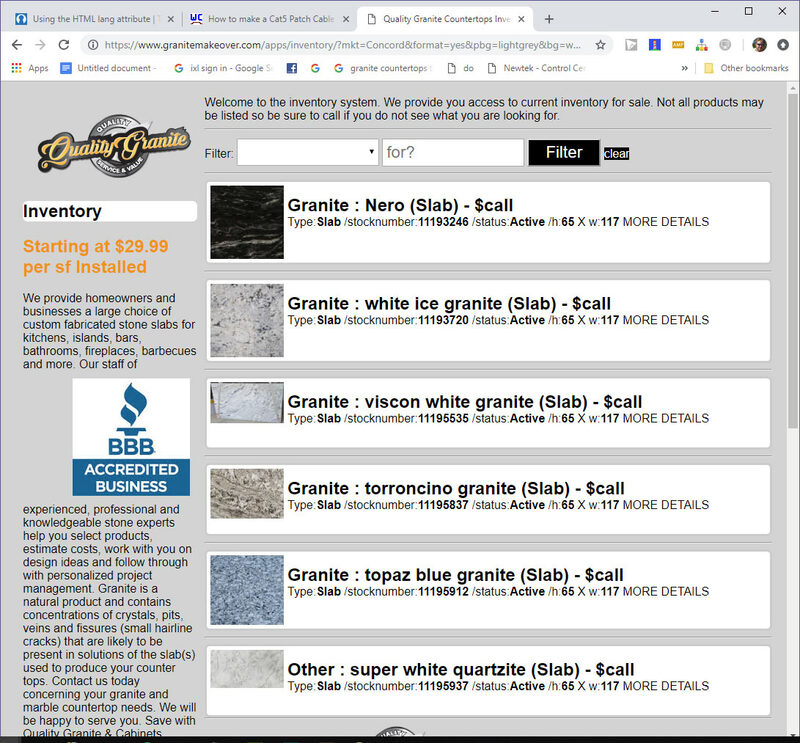 With some basic setup details we can have you up and running in no time and provide your staff with the ability to manage and track the inventory. This application is responsive to all internet enable devices. If you would like to know more please call 877 877 196 or to start the setup and a free trial of the inventory manager click the link below. Launched 2.0 of the inventory management system. easy access to manage inventory though the spark Lead management system. 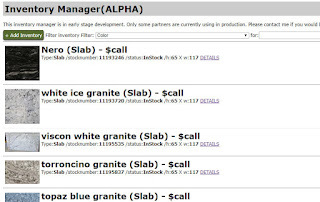 Control your onsite inventory easily. Contact Us for a demo. UI is easily customizable. Responsive to mobile 7 online devices.